Learning about the various types of renewable energy is a great way to get a person thinking about changes they can implement. There have been some significant efforts made in this area but there is still much more than needs to be taking place. Instead of being afraid of what is unknown to you, do your best to learn the basics of all the renewable energy sources possible. 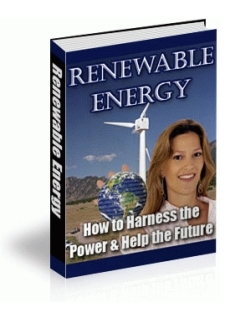 Learn about the various forms of renewable energy and how we can reduce our dependency on the resources we can’t replenish.The possibilities that are open to us along the lines of renewable energy are huge. There is no limit to how far we can take them as long as they are going to benefit society as a whole.